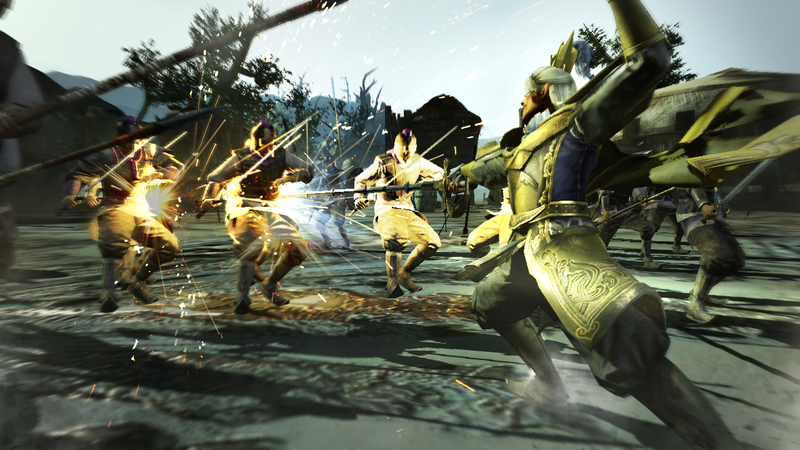 Dynasty Warriors 8 PS3 Review. Well... Koei have really nailed the Dynasty Warriors nail on the head with this game. Dynasty Warriors 8 is a very sturdy game on the PlayStation 3 that does take the franchise to a new level thanks to the tweaked gaming mechanics. 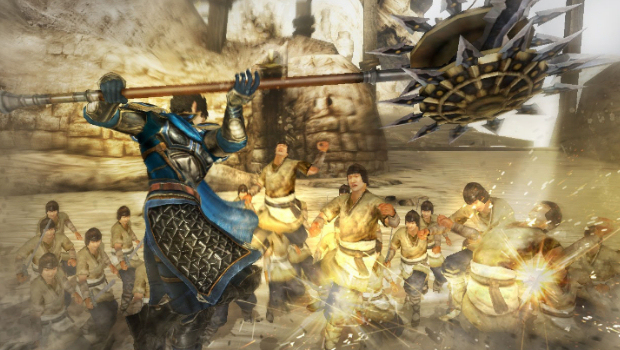 With 75 characters to choose from, Dynasty Warriors 8 has this interesting gaming mechanic called "What If?". These What If scenarios allow the player to explore various story choices that change the way the story will play out for the particular character they have chosen. • New “What If?” scenarios – breaking away from historical fact, this mode takes a look at what could have happened if famous characters had lived to fight another day. Stories branch out to different outcomes providing variety in the course and ending of the game, and giving the players the power to view an alternate version of history depending on their choices. • New characters and fan favourites – Yue Jin and Li Dian make their first appearance in the series alongside over 70+ playable characters and old favourites Zhao Yun and Ziahou Dun – the biggest line-up of characters in a Dynasty Warriors game! • New Gameplay – “Rage” mode has been added to boost an officer’s abilities to incredible new levels, new action gameplay increases the tactical depth in battles. • More than 40 completely new stages – Verdant plains, desolate wastelands, sharp ravines, huge castles, and other breath-taking sites. Another highlight for me is that Koei continue to explore the rich and ancient traditional of China that follows the stories of legendary heroes that include Wei, Wu, Shu and Jin as they attempt to control The Three Kingdoms which has been made famous by the Romance of the Three Kingdoms novels. However by incorporating the What If scenarios, this allows the player to explore different story avenues that change history itself. Another area where Dynasty Warriors 8 stands out from its predecessor is the amount of characters available to the player with over 70 to choose from. The main story mode of the game also allows you to fight your way through five different campaigns which certainly increases the longevity of this game. However each character has their own unique weapon and with so many characters to choose from, it is quite difficult in finding a favourite. In terms of weapons, players have access to two weapons but their special weapon allows for additional bonuses and damages. Another interesting element of the game is the new weapon affiliation. Affiliations are linked to heaven, earth or man and is similar to rock paper scissors which means certain weapons are more powerful than others. It definitely adds an interesting dynamic into your fighting strategies. Although the game is a fighting game, your characters can level up which then rewards the player with additional bonuses. Each of the different officers in the game have access to three Musou attacks which allows you to perform a variety of fighting manoeuvres such as limited vulnerability or massive rampage attacks. Then you have the Storm Rush that unleashes a chain of unstoppable attacks on your opponents. Both Muso and Storm Rush can even be combined together to make you godlike as you cut or smash your enemies down. Another exciting element is free mode which allows you to replay any stage in the game which not only gives you more experience but also items. This even includes playing the enemies side. If you do want a slight break from all the killing and maiming, the developers give the player access to the Ambition Mode which allows you to collect resources from battles in order to build your city for the Emperor to receive his respect. This mode also allows you to recruit your officers to assist in your empire building. However as you progress in this mode, the stakes get higher and higher and at times, very difficult as the damage rolls over to the next battle. With so many characters, gaming modes and new mechanics, Dynasty Warriors 8 really takes the franchise to a whole new place that not only pays homage to the fans of this series but also new comers. 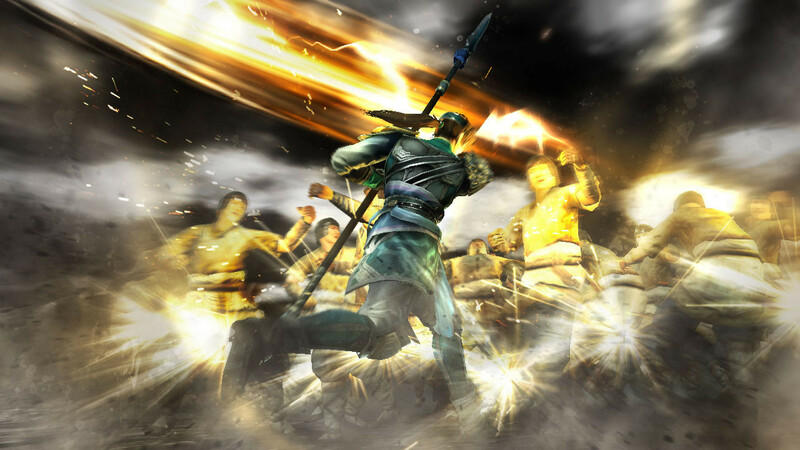 Graphically, Dynasty Warriors 8 is slightly polished compared to number seven and contains some wonderful character animation, impressive special effects and sometimes a huge cast of characters all on screen at once with a few slowdowns. The only downside to the Dynasty Warrior games are the backgrounds that at times can be a little lacklustre. Also, I'm not sure if it's me or something else but the females in this game seem to be showing more skin and cleavage, not that we're complaining mind you. 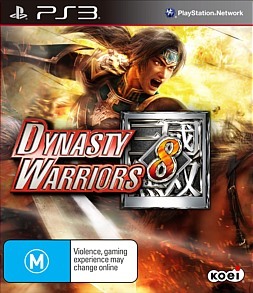 Lastly, add in some decent voice acting (although some quite cringe worthy) and that familiar Dynasty Warriors Heavy Metal soundtrack and ironically it all comes together well in number 8 of this franchise. Well... Koei have really nailed the Dynasty Warriors nail on the head with this game. Not only have they fine tuned the gaming mechanics but given the player a variety of interesting additions and gameplay modes to keep players busy for a considerable amount of time. Combat feels more fluid and the introduction of new abilities and weapons takes this franchise to a whole new gaming sphere.